You can listen to any of the underlined songs with the RealAudio RealPlayer G2 . Please note that these songs are posted in monophonic sound. The CD's are in full-spectrum stereo, sound much better and you won't have those annoying interruptions when the Internet is busy. New CD - Available Now! This stand out recording features hot pickin', old time harmony singing, stratospheric yodeling and the ethereal lilt of the musical saw. The passion and enthusiasm these two share for this great American roots music really shines through on these 15 classics. What's The Matter With The Mill? "Best Of - Vol. 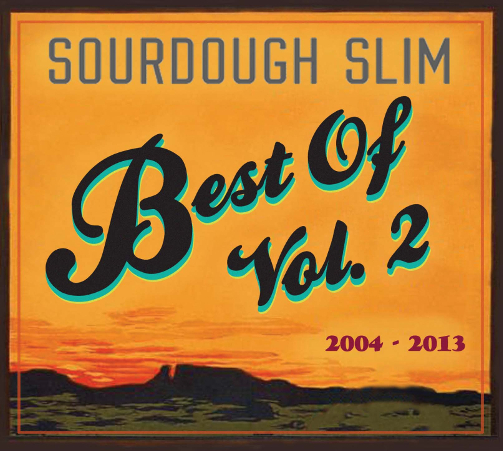 2"
A collection of Sourdough's personal favorites (27 songs in all) from five CD's recorded between 2004 to 2013. What a bargain! A must have for long time fans and a great introduction to Sourdough's music for those uninitiated. Over an hour of yodeling fun! Sourdough's first solo release since 2008 is a real crowd pleaser. Seven great new original songs, cookin' country blues, cowboy classics and lots of yippie-ti-yi-yodeling. This CD rocks! Backed on many songs by the instrumental wizardry of Robert Armstrong. You'll definitely want to add this gem to your collection. Sourdough says "Some albums just fall together so beautifully, magic happens. This is one of those moments." 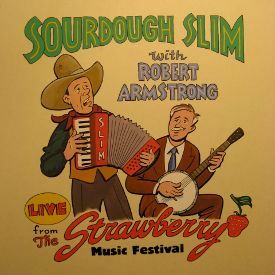 "LIVE from The Strawberry Music Festival"
From their Main Stage and workshop performances at the Spring 2009 Strawberry Music Festival this CD captures these jolly troubadours of tradition in fine form. Whether their belting out a traditional blues piece, kicking up a hot novelty number, shining up an old cowboy classic or sharing a joke with the crowd, there is something here for everyone. Sourdough on guitar, accordion, uke and harmonica. Robert on national steel, banjo and musical saw. As MC Dallas Dobro says "Good Stuff!" 15 epic renditions of some of the greatest cowboy songs of all time. Sourdough follows up his hugely popular 2007 release with more of the best of the West on "Classics II." Backed up by some of the finest cowboy musicians in the business. Classic songs sung by a classic artist. You can't go wrong with this CD! Every song is a winner. 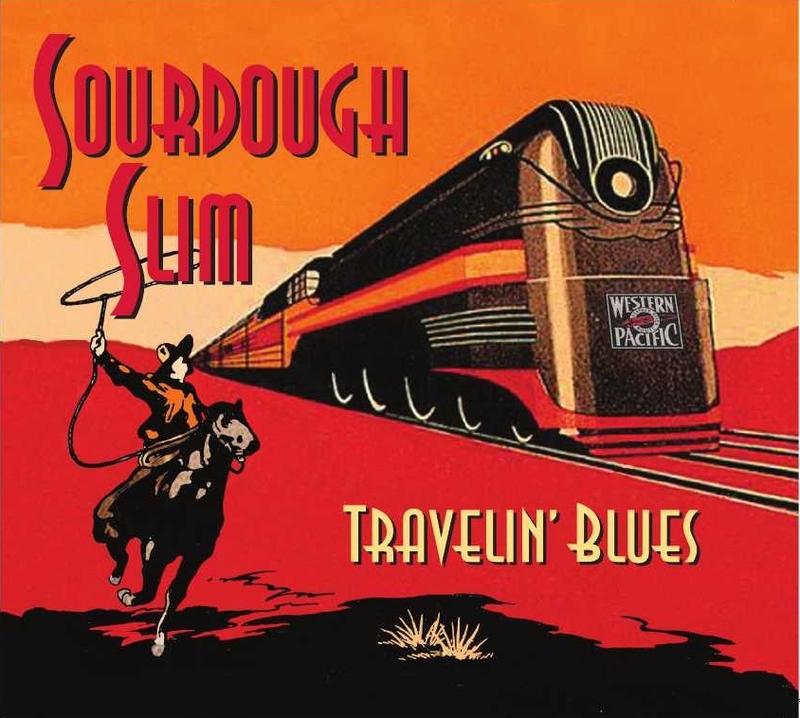 Sourdough is at his best singing these classic songs of the trails and rails and believe me his renditions of these gems are like no one elses. Mostly recorded solo accompaning himself on guitar, accordion, tenor banjo, baritone ukulele and harmonica with occasional help from his pals Cactus Bob and John Girton on fiddle, clarinet, octophone, tuba and piano. 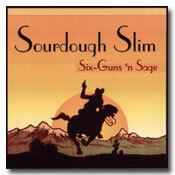 For those of you who have been waiting for a CD with all your favorite western songs, here it is. A true classic! From the sideshow stage of the traveling tent shows of the 1920's and depression era years to follow take a trip through the eyes and ears of the Vaudeville Cowboy. 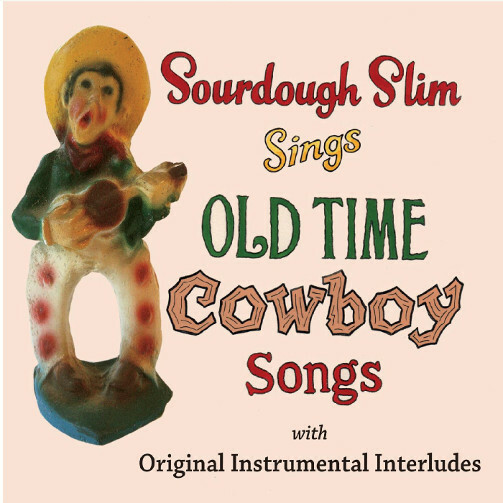 This 2006 CD finds Sourdough following in the footlights of such illustrious entertainers as Tom Mix, Jimmie Rodgers, Col. Tim McCoy, Buffalo Bill Cody, W C Fields and Will Rogers during the heyday of cowboydom. 17 classic and original songs that reflect the impact of the cowboy and the West on the vaudeville and traveling tent show stages of yesteryear. Joined by his talented pals on such novel instruments as the national steel, tuba, french horn, piano, musical saw and banjo. The Big Show's Come To Town! 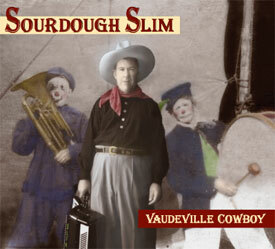 "There is no one today more versed in the great tradition of old time vaudeville and the tent shows that toured throughout the country in the 1920's and 30's than Sourdough Slim. Slim is a master showman and one of the finest musicians I know. 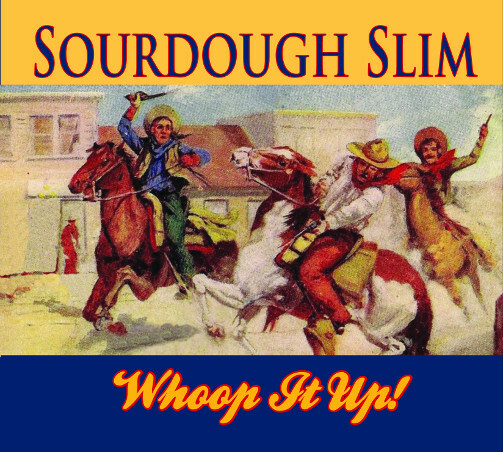 Trust me - Sourdough Slim gets it!!!" "The album's strength lies in how fun and non-typical Slim's versions of songs are...much more invigorating than 9/10ths of the stuff you hear from the current cadre of western revivalists." 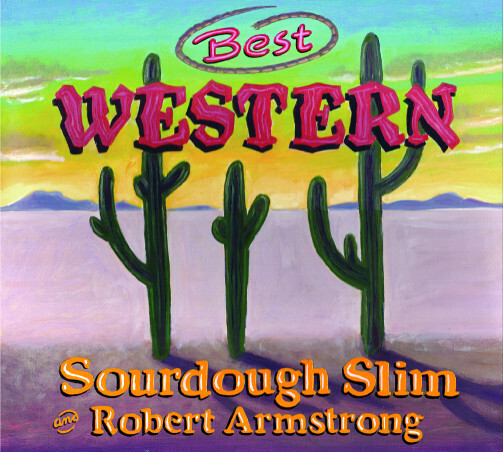 This studio recording features Sourdough at his solo best. Six new original songs and ten more gems from the golden age of Western music. 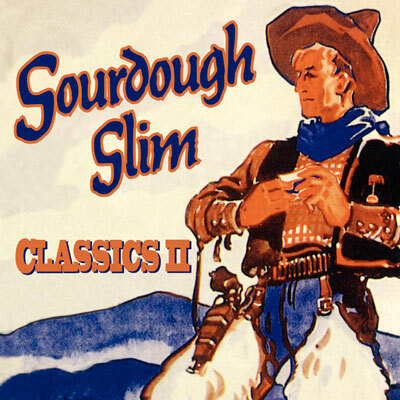 Dedicated to legendary border radio pitchman and singing cowboy, Dallas Turner (Nevada Slim), who's classic carnival intro pitches add a unique touch to this CD. 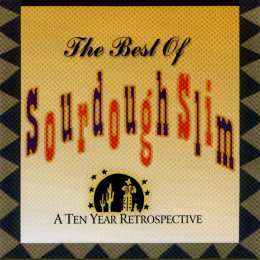 A fabulous collection of 20 songs taken from 5 different Sourdough CD's released between 1992 and 2001. You can't go wrong with this one. 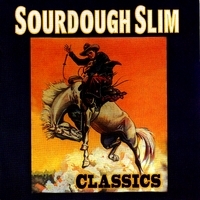 The ultimate early Sourdough CD. All titles are available in Compact Disc (CD) format for US $15 each. Prices include US postage and handling. For International orders, please add US $5 per order.